Discover Why Willow Creek can say that we’ve met 100% of our deadlines over the past 5 years. The Can-Do attitude of Willow Creek is the second pillar of what we stand for and is a big part of what makes us unique in our industry. While many companies just do what is required to get the job done, we go deeper, and look at the project in total; then break the parts down spatially, and look for cost saving ways and methods that are fresh and innovative. Because of this collaborative way of doing business, we frequently bring projects in below budget and ahead of schedule. 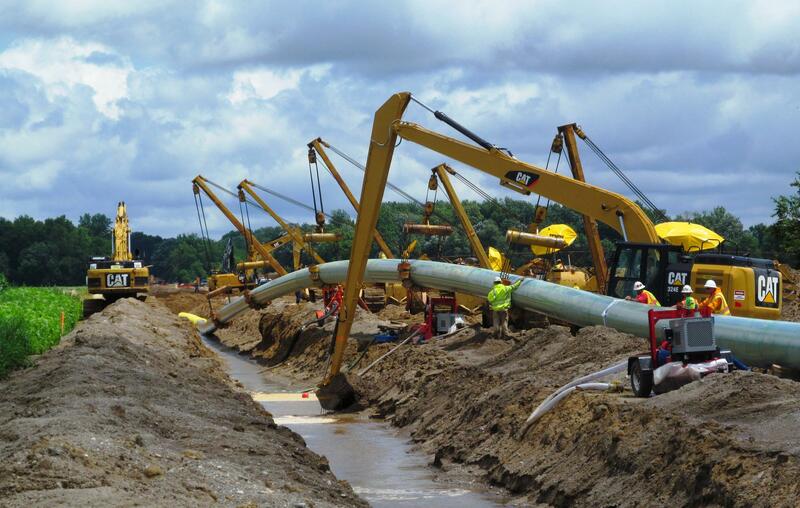 We have proven ourselves innovative leaders in pipeline construction for oil, gas, liquids, and pipelines from 2″ to 32” diameter, and we are fully equipped and technically qualified to complete your site development, facilities construction, lateral lines, natural gas power plant feeder lines, storage facilities and Tank Batteries. We accomplish this through a strong safety culture, an investment in new equipment, and in our hiring and employment procedures. You can count on Willow Creek to have the proper equipment, the right amount of properly trained manpower, and the know-how to cost effectively schedule, manage, and construct your facilities the right way, the first time, on time. Our goal is to bring your project in on time, 100% of the time! We’d love to hear from you about your next project. Click the Contact Us button below, or get our power point by filling out the form below.